Brand new strawberryluna Fab.com Sale starts tomorrow! Take note all those who love a great art & design deal: We’re working with our good friends at Fab.com and are having a brand new Sale at Fab! Our new Sale starts TOMORROW, Wednesday at 11am sharp 10/10 and runs for just 72 hours through Saturday morning 10/13 at 11am. We have THREE new Fab.com Exclusive Releases debuting in this Sale, including our brand new 2013 Sun Lion Wall Calendar & Art Print double duty print – it’s perforated so that you can keep the 12×12 sized art print at the end of the year. (You’re welcome!) 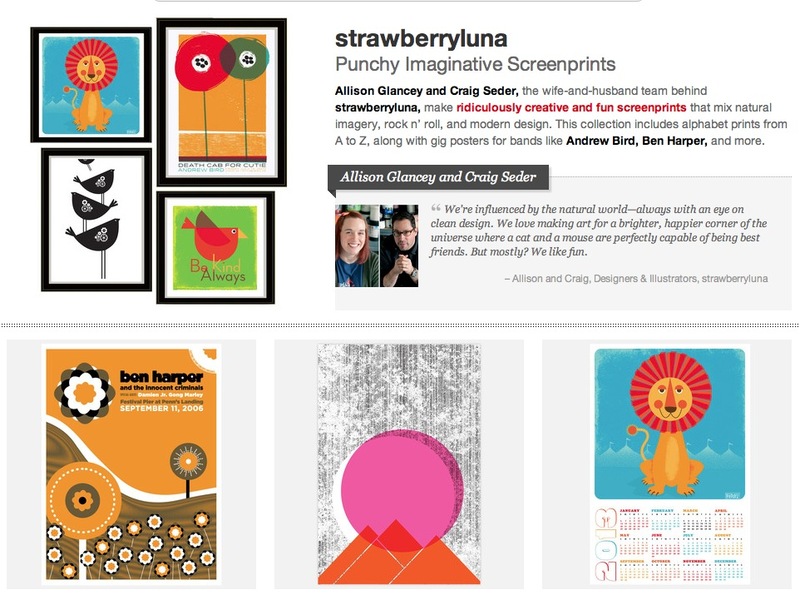 Plus 2 brand spanking new hand screen printed art prints “Dragon’s Forest” and “Lucky 13”. Want a sneak peek? Check Fab.com here and our website here too. Just in case you aren’t familiar with the amazing Fab.com, or aren’t already a member, (and why not, it’s free-to-join!) here’s a quick run down on Fab.com. Ready? Ok! Fab is Everyday Design. Our mission is to help people better their lives with design.Fab exists for one simple reason: To make you smile. Every day we set out to delight you, inspire you, make you laugh, and give you something to look forward to. Fab.com is very specialty design sale website, meaning their curated partnerships with artists and designers last for just a few days at a time. With over 5 million members and a fresh set of new sales daily, Fab.com features great pieces for sale at substantial discounts. 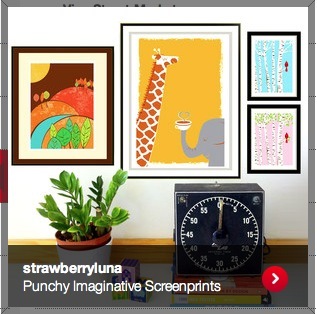 With discounts from 25% – 40% off of our day-to-day retail prices, a strawberryluna Fab.com Sale is not to be missed! You won’t see these prices again for a long time. Don’t make a sad. Don’t miss out!